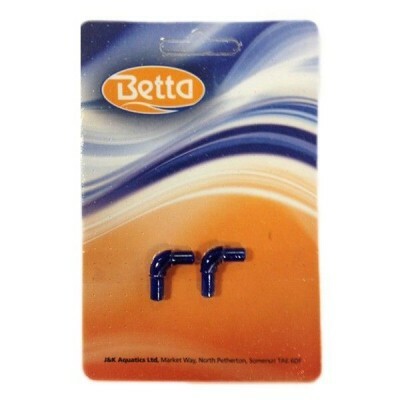 These Betta Airline Elbows come in a pack of two and have been developed to allow aquarium hobbyists the option to produce a 90 degree bend without kinking the airline. The clever and highly useful development from Betta comes as result of their unprecedented knowledge and skill within the aquarium equipment industry. The two elbow structures have been developed using a fine selection of the brand's premium quality materials to provide reliability and durability for all uses. The Betta Airline Elbows fit a standard 6mm airline.